Space enthusiasts are being given the chance to discover newly-forming solar systems in a fresh challenge backed by NASA. It is the latest in the Zooniverse collection of so-called citizen-science projects and the results will be of real interest to professional astronomers. The new project is Disk Detective and it calls for the help of volunteers at home to find embryonic planetary systems hidden in the wealth of data that NASA’s Wide-field Infrared Survey Explorer (WISE) mission returned in its survey of the skies. The spacecraft, which has now begun a new role searching for asteroids from Earth orbit, carried out two scans of the entire sky between 2010 and 2011. It gathered detailed observations of more than 745 millon objects at infrared wavelengths, an incredible amount of data whose sheer volume presents something of a headache for astronomers wanting to analyse it all. 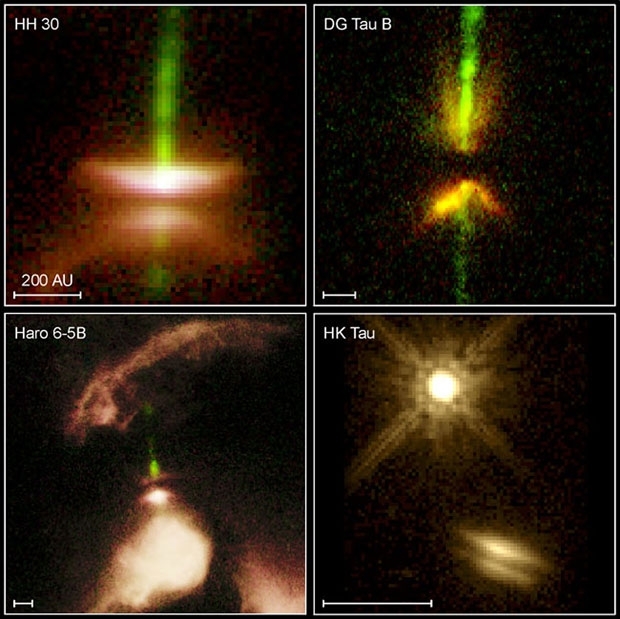 Using computers, they have managed to whittle down these objects to about a half-million sources that shine brightly in infrared, indicating that they may be regions where planets are forming in dust-rich disks that are absorbing light from the central star and radiating it out as heat. The reason astronomers can’t simply use computers to find the new planetary systems is that galaxies, interstellar dust clouds and asteroids also glow in infrared. The only way to tell for sure for the human eye to inspect each image and make a judgement - a massive task for a small team but ideal for volunters in the Zooniverse. The Zooniverse, founded by Oxford astronomer and TV’s The Sky at Night presenter Chris Lintott, has been a massive success since it crashed onto the astronomical scene in 2007 with a single project called Galaxy Zoo. Swiss researcher Kevin Schawinski, then at Oxford, had been set the daunting challenge of finding blue elliptical galaxies in the Sloan Digital Sky Survey. After a week he had examined 50,000 galaxies but got only through five per cent of the data. He thought there had to be a better way. Lintott stepped in to set up a website where volunteers could click to identify different galaxies. After publicising Galaxy Zoo on radio and TV, demand quickly brought down the server! Then once back up, it became so successful that by the end of day two, the volunteers were already doing in one hour what Schawinski had only managed in a week. Since then several other projects have been introduced under the Zooniverse umbrella from spotting black holes and gravitational warps to finding planets and identifying features on the Moon or the weather on Mars. It has expanded beyond astronomy to such tasks as identifying how whales communicate, classifying animals in the Serengeti and exploring soldiers’ diaries from World War One. The latest project, Disk Detective, incorporates images from WISE and other sky surveys in brief animations known as flip books. Volunteers view a flip book and their judgement will allow astronomers to assess which sources should be explored in greater detail. The project aims to find two types of developing planetary environments. The first, known as a young stellar object disk, is typically less than 5 million years old, contains large quantities of gas, and often is found in or near young star clusters. The second, known as a debris disk, tends to be older than 5 million years, possesses little or no gas, and contains belts of rocky or icy debris that resemble the asteroid and Kuiper belts found in our own solar system.